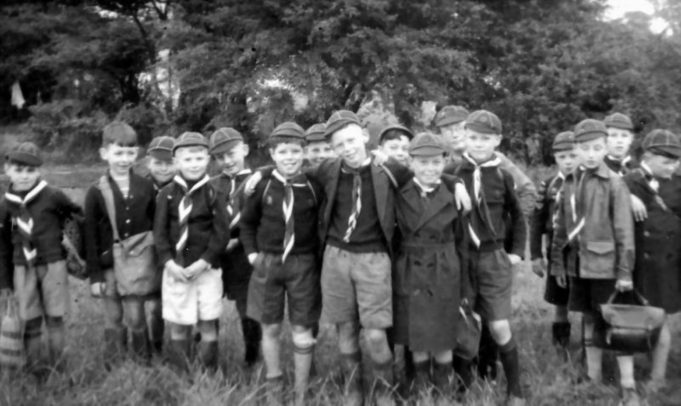 The two photos below are of the 5th Thundersley Cubs, whose meetings were held in St George’s Church Hall, Rushbottom Lane. Both photos were taken in 1958. 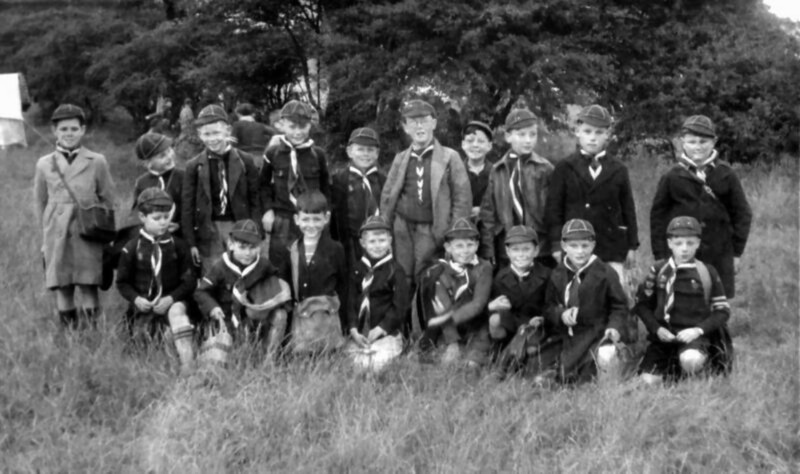 I am the young man not wearing a cap or uniform, as I had only just joined. Does anyone else recognise themselves or anyone else in these photos? If so, please contact us via the ‘add a comment‘ section at the bottom of this page. I was a Scout Master that saw some of these boys “Come Up”. Bottom r – l 1.Alan Chamberlain. As cubs and scouts we had a lot of fun in the St George’s Church ground thanks mainly to Skip Easter and Rev Carlos.